Ashore Hythe having full underwater service as well as engines and drives. May 2018. Type Modern Planing Hulled boat with twin outdrives. Coupe style with flexible canopy tops to Wheel house and cockpit. Dimensions LOA 33'10" (10.06m) Beam 11'8" Draught 2'10"
New May 2018 all covers re-newed, originals are 8/10 and make a perfect "winter set"
plenty of light in fore cabin with this double hatch panel. 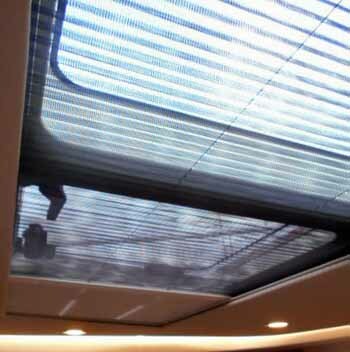 the aft cabin window allows plenty of light and a great view out from inside! port side, room for several fenders and warps, and windlass handle if required. wonderful clean screens give super view. and easy with little shape to wipe successfully. 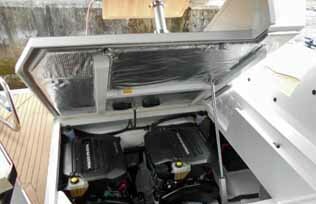 cushions dropped in to place, ( "Sardinia Ratten"), Raw teak table, mounted in the powered engie access hatch. 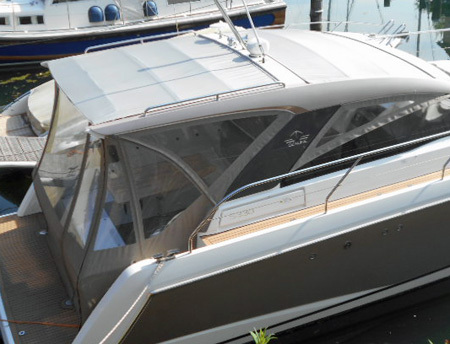 covers slide open and gives the boat awhole different OPEN TOP feel. you can see that with this section slid forward it will become very much a "Targa" , open boat. and in this climate, it is as important that in a minute you can slide it all shut again! 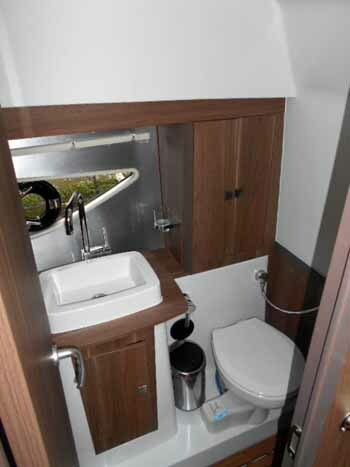 Washed walnut finishes , dinette to port, galley to starboard and heads starboard aft. 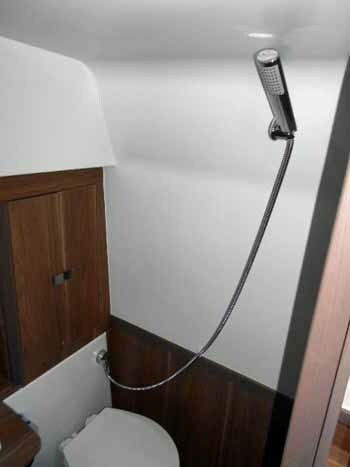 all domestic electrics under smoked perspex panels with Touch pad lighting switches, etc. 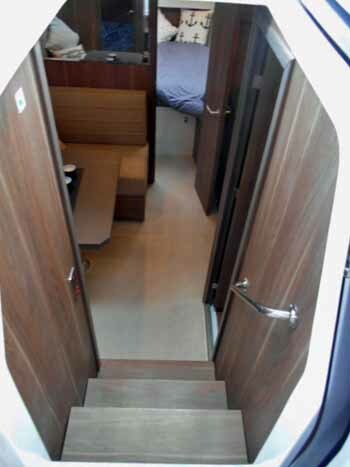 aft to port, decent TV , with Fusion stereo unit right of shot, door to aft cabin, Sliding screen over light panel over head from under screen area. clean and smart awaiting re launch Mid May 2018..
all new antifoul and a coat of polish.. 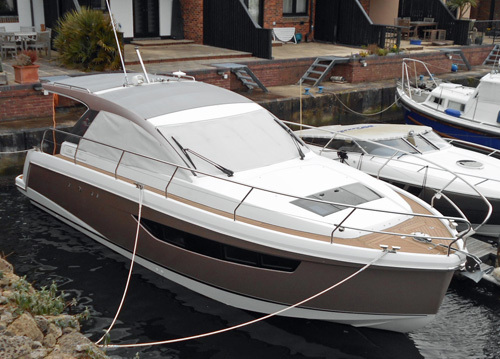 Broker's Comments Well not much to say, This boat was voted joint winner of the Motorboat and Yachting awards in 2016, " described as " a real treat to chuck into the turns if you are in the mood, and having "sharp looks" excellent cockpit, and punchy performance. " 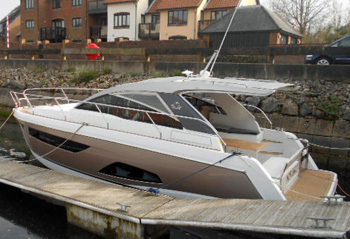 she is in superb order, having been lightly used mostly around the Solent, and servcied by dealers. Her aft canopy was not looking 100% so this owner had all new made in April 2018.. so she is again "Out of the box " order.